Did Shinya Kumazai Hint that a Dragon Quest Character is Headed to Super Smash Bros Ultimate? As you may remember, a couple of interesting character entries were datamined from Super Smash Bros Ultimate a while ago. Named ‘Jack’ and ‘Brave’ respectively, these characters were believed to correspond to DLC fighters for the game, with people suggesting that the former may be Persona 5’s Joker and the latter a character from Dragon Quest respectively. It’s a pretty logical theory, and made sense for the most part. After all, we know Joker from Persona 5 is coming, and Jack is the most likely of the codenames for him. And given Dragon Quest’s popularity in Japan, the idea of that getting a fighter made a decent amount of sense too. 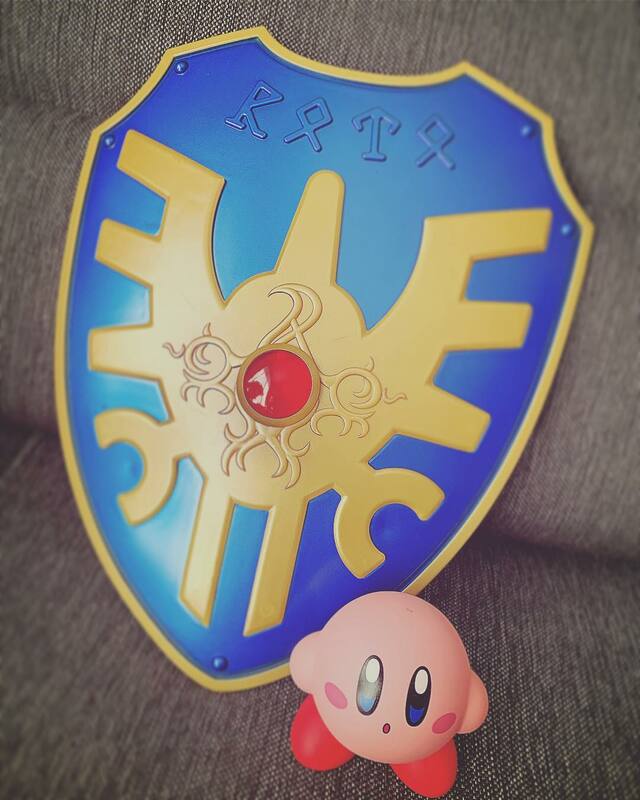 As you can see, it clearly shows Kirby next to a shield from the Dragon Quest series, complete with the words ‘The brave’s shield’ and references to the Dragon Quest series underneath. That’s pretty blatantly a Smash reference right there, and clearly seems to be referencing the codename mined from the game. What’s more, it also seems to indicate that it’s Erdrick (the main protagonist in the original Dragon Quest game) who could be getting in too, given the shield in the picture is in fact his shield from said game. So now you’ve got a Smash Bros Ultimate developer referencing Dragon Quest and Smash, complete with knowledge of the codenames found in the game. Yeah, it seems the evidence for a Dragon Quest character is now very strong indeed. It just seems like too much of a coincidence otherwise. Are you convinced that this is a (very thinly veiled) reference to a Dragon Quest character in Smash? Has Shinya Kumazaki really gave away who the next newcomer is? Or do you think this whole thing is a bit of a joke to tease fans of the game? Tell us your thoughts in the matter here in the comments or over on social media sites today!